India is witnessing a rapidly growing urban population (590 million by 2030) and increasing motorisation rate (55 million in 2001 to 196 million in 2016) fuelled by a healthy economic growth. We are reaching critical levels of demand supply gap of public transport (230 buses per million, required 600 buses per million), creating diminishing ridership in public transport (less than 20% people uses public transport). All of these is contributing to heavy traffic congestion and high pollution levels in urban cities. The above woes is pushing authorities to develop sustainable solutions, such as the Smart Cities Scheme or Atal Mission for Rejuvenation and Urban Transformation (AMRUT), which lay heavy focus on improving urban mobility and public transport systems. To meet these objectives, the government has considerably invested in mass transportation schemes such as metro rail, bus rapid transit system (BRTS) and mass rapid transit (MRT). However, such schemes keep operating independently and seldom integrate with each other. According to one estimate from World Bank, $500 billion Investment will be required for upgrading Indian Transportation. 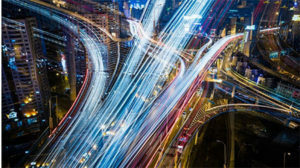 Government smart cities project would possibly spend $10 billion only on transportation. An estimated $30 billion investment is planned for building metros in 24 cities. Such high spends cannot be catered by government alone. We need an integrated mechanism that enables commuters to use public transport providing higher convenience, thus increasing the ridership in public transport and hence the revenue for the government. The government, transport operators and service providers should all work together towards a sharing ecosystem. MaaS is one such mechanism that will allow utilization of all modes keeping passenger in the center of things. 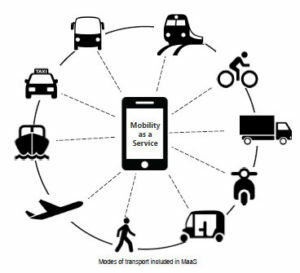 Mobility-as-a-Service offers access to different transport modes from a single platform such as an app. This allows travelers to pick the most personalized and streamlined way of getting around for any given journey. MaaS seamlessly integrates the first and last mile connectivity to supplement existing fragmented transportation systems. The basic idea is to provide a single solution to all mobility needs. The key building blocks of MaaS are Infrastructure, Technology & Financial Transactions. These building blocks in unison will lead to a successful MaaS implementation as learned from global experiences. What India needs is standards for these technologies to interact with each other. There has been limited government initiatives for standardization of Public Transport like Urban Bus Specification (UBS-2) emphasizing on safety & convenience of the passenger. The government has recognized the need for driving standards. One such standard that will boost MaaS is AIS140 (Automotive Industry Standard). The Automotive Industry Standard will be effective from April1, 2018. The prime focus of AIS 140 is passenger safety. With the introduction of AIS, vehicle tracking device and emergency button on public service vehicle will be mandatory. It will have an impact on 7.5 million vehicles in five years. The automotive standard will be applicable for public services like buses and taxis. Still a multi-modal standardized technology platform is missing, which would enable easy integration & ensure uniform quality of service. The need of the hour is to leverage the on-going government initiatives and start planning a new framework that can develop a MaaS offering by providing data sharing platforms & adequate infrastructure for usage of 4G/5G services for real-time data transfer. One such example would be Traffic Demand Modelling-use of mobile network data to identify the mobility trends & using data for city planning. The MaaS offering would not be complete without an integrated payment interface across all modes of transport, enabling a ticketless traveling environment & ensuring secured payments. Government’s latest initiative under Digital India, Bharat Interface of Money (BHIM) – an Aadhar based Mobile payment application, would serve as for common platform for the Unified Payment Interface if utilized by the Public transport authorities. MaaS Global implemented the Mobility as a Service concept by building the world’s first mobility ecosystem in Finland. MaaS Global aspires to improve the level of service in the transport sector by combining public and private transport services from brand-new cars to taxis, hire cars, trains, buses and city bikes. In MaaS, the authorities play the enabling role. The creation of Finnish transport code formed the foundation for the environment and atmosphere in which future services are produced. Provision for interoperability of tickets & payments system, facilitating data from all transport services to be made open were key reforms by the government. On the other hand, the MaaS provider the Finnish Transport Agency’s task was to support the creation of a Finnish environment where it is possible to develop and launch safe, functional and profitable transport services. In practice, this includes participating in the drafting of national policies and strategies, investing in infrastructure, opening the Transport Agency’s data to service developers and offering expert advice on mobility services in development projects. Creating one price subscription model for citizen that can be used across modes using a mobility service app was another necessary step that was put in place. The MaaS global example reaffirms that the success of MaaS requires a collaborative effort from the Government and Private bodies. 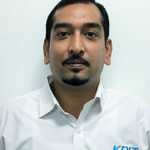 Global Automotive Megatrends thatWhile there have been initiatives, but aadoption of MaaSSOLVING Solving the mobility inIndiawillrequirecourageous and Solving the mobility challenge in India will require courageous and coordinated actions from private and public sector players alike. Equally important, commuters need to be informed about the benefits of MaaS so that they become stakeholders in its successful implementation. It would be necessary to understand the concerns of the consumers and gauge their willingness to pay for such a service. Affordability of solution will make it attractive for the end consumer.